On Monday, Interior Secretary Ryan Zinke visited Paradise, the Northern California town devastated by the deadly Camp Fire. Zinke's second visit to the area came after he made comments linking “radical environmental groups” and forest mismanagement to California's wildfires. 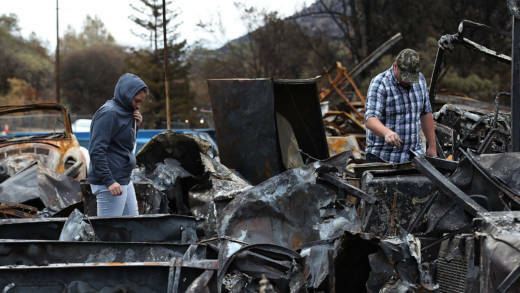 In this segment, we'll get an update on search and rescue efforts in Paradise and dig into the very different stances California officials and the Trump administration have on what is contributing to California's fierce wildfires.